Dissident Turkish actor Levent Üzümcü has been sent to the High Disciplinary Court of the Istanbul Metropolitan Municipality and is facing dismissal from the Istanbul City Theater over statements critical of the ruling Justice and Development Party (AKP). Commenting on the news from his Twitter account, Üzümcü defined the motion as against the law. “Friends, the attempt to dispel me from the City Theater is completely lawless (what else could be expected of them?) Don’t lose your sleep over it,” he tweeted. The official reasons for the investigation are a speech Üzümcü gave at a Socialist International event, the opinions he has shared on his social media accounts and his statements to the press. 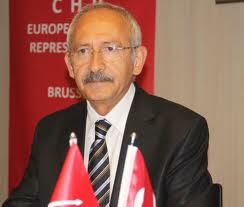 In November 2013, few months after the Gezi protests of June 2013, Üzümcü gave a speech at a Socialist International meeting held in Istanbul, criticizing the ruling AKP. “Today, our people are encouraged to become informants. It is being normalized to spy on and report people for leading lives that are deemed immoral by certain social standards,” he said. 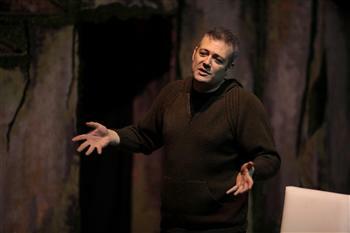 In addition, Üzümcü clarified he was sent to the disciplinary court of the municipality and not that of the theater due to a controversial amendment to theater regulations. “This is what they aimed to do by changing our theater’s regulations in the first place; trying us at the municipality’s disciplinary courts over our opinions and hence intimidating our colleagues,” Üzümcü said. Gallery | This entry was posted in Uncategorized and tagged Levent Üzümcü, Socialist International. Bookmark the permalink.